Mike Teachey will serve as the new Executive Director for the Barbara Stone Foundation and will continue his role as the Lead Facilitator / Director for Greenville CAN. 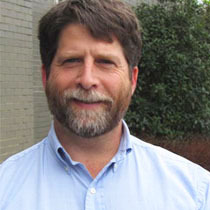 Before his involvement with Greenville CAN, Mike Teachey was the Director of Community Relations for the Greenville County Recreation District. Mike served as an organizational consultant and community development specialist most of his career. As a community development specialist for the national office of Communities In Schools, Mike provided training and facilitation services to non-profit organizations across the country. Mike also has experience working in the corporate sector serving clients such as BMW and Michelin. Mike grew up in Greenville SC, attended high school at Christ Church Episcopal School, graduated from Clemson University, and is a Leadership Greenville Graduate. Mike can be reached at mike.teachey@greenvillecan.org or barbarastonefoundation@gmail.com.